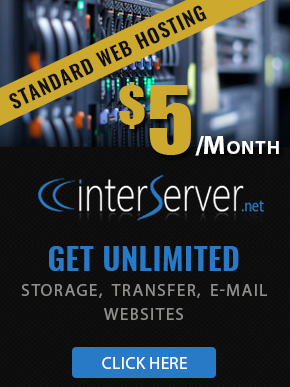 Switch to InterServer Managed Web Hosting and we will fix your website for FREE during the migration. WordPress maybe the greatest blogging tool ever created, when its working correctly. Even the most successful webmasters are unable to fully understand the complexity behind fixing all issues that may come along with running WordPress. Free Hacked WordPress Cleanup is here! Running a WordPress website is easy when it is hosted at InterServer. We focus on any technical issues that you may come across while you focus on creating great content for your blog. To prove InterServer is the best hosting company for your WordPress web site we will correct any issues you may have with your WordPress site during the copy of your website from your old hosting company. We fix all issues related to hacked WordPress sites easily and effectively. Our team deals with 100’s of WordPress issues every day and we have become experts at it. When you have no place to turn and your website is down. Your hosting company should have the answers! InterServer offers a fully Managed WordPress Hosting Package. Not only does it proactively correct issues, block malware and stops attacks. But when something does go wrong our support department is here here 24/7 to get you back online. Don’t spend 100-$200 every time your website is hacked! InterServer will fix your problems for Free every time it has an issue. If at all you are not satisfied with our service we have a 30 day money back grantee. We can have your site back online in hours! Contact us to get started! After completing this from a ticket will be opened with our support department in order to guide you though the rest of the process of Free Hacked WordPress Cleanup.